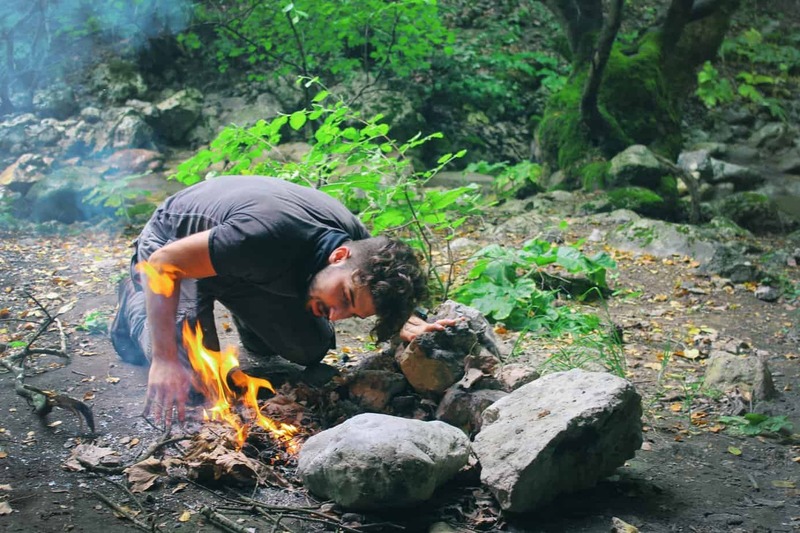 When it comes to outdoor gear brands, Marmot is a household name for outdoor enthusiasts. They sell everything from apparel to camping gear like tents and sleeping bags, with their bags being particularly popular. Fans of the brand are well aware that Marmot produces some amazing backpacks. Marmot produces backpacks for pretty much any situation, whether it’s for casual use or a serious week long expedition into the mountains. Their smaller backpacks are their most popular. They have a few different day packs but one of their most-loved models is the Ultra Kompressor. As the name suggests, the Ultra Kompressor is able to be compressed down to an extremely compact size, making this backpack just as at home on the trail as it is for daily use. Everyone can use a well-built, durable daypack that they can lug around on every adventure. The Ultra Kompressor is versatile in size at 22L and feels great, even when worn all day. If you are looking for a new bag that can do a little bit of everything and last for years, this backpack will leave you very happy. Before getting into why you would want to buy the Ultra Kompressor, here is a rundown of all the specs and features you should know about. Just going by the basics above and the high number of overwhelming positive reviews is enough to want to add this backpack to your collection but being a smart shopper is never a bad idea. There are some advantages as well as disadvantages to the Ultra Kompressor. 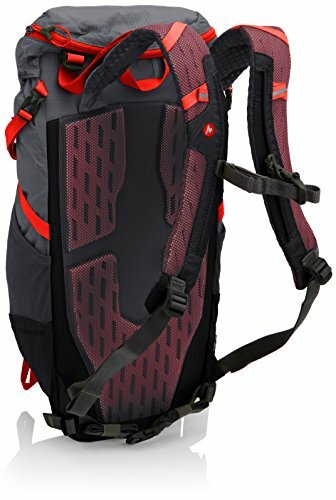 This backpack consistently gets high ratings from customers and it easily a 5 star product. There are a lot of reasons people love this model, whether it’s the color, styling, size or they are just fans of the Marmot brand. However, all of the benefits can be summed up in these three major advantages. The harness system, which consists of the shoulder straps and back panel are all made of Airmesh for max ventilation. Even packing this model in hot weather will keep you cooler than the thick foam harnesses found on other bags. The webbing hip belt isn’t ventilated but thin enough to keep you cool. Not to mention the belt helps keep the bag close to your back instead of flipping or sliding around. Weight-wise, the Ultra Kompressor is very light at a little over 1lb. 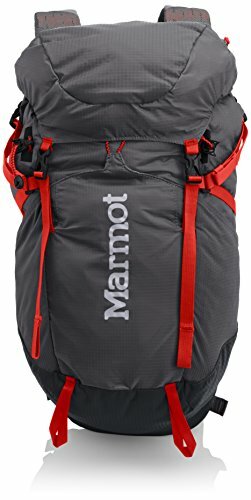 It is definitely in the lightweight category and while Marmot does have a weight limit specified, many customer are happy to find that the back is still comfortable even when overloaded. This bag feels great when worn and doesn’t impede movement at all. The main selling point of the Ultra Kompressor is, not surprisingly, how compressible it is. 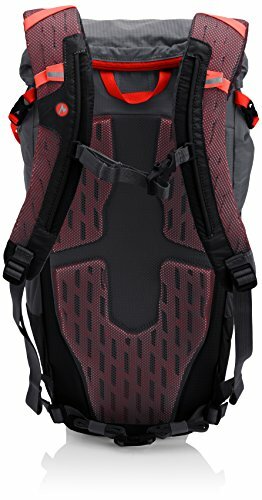 This backpack has multiple points of compression, including straps on the side and front. Being able to compress down your gear is always beneficial since it helps to hold everything down against the back better, plus it helps to stay out of the way when navigating around brush, trees and rocks. Even though the 22L isn’t very big, it’s nice to have the option of shrinking up unused space with the straps. If you use the bag to carry loose gear like cooking pots or mountaineering equipment, being able to cinch down the everything instead of letting it bang around prevents damage and make your hike more peaceful.and three points of compression for shrinking any load down to size. A major plus of the Ultra Kompressor is how versatile it is. While you wouldn’t want to drag around a large bag made for weekend backpacking trips, this 22L daypack is the perfect size for use in almost any situation. You can use it for work or school, or use it to carry your workout gear or lunch for a picnic in the park. It is particularly useful for traveling. Since the Ultra Kompressor is so compact and can be seriously compressed down, it is ideal for traveling via plane, train, subway or in a car. The durability of this backpack is also a huge plus for versatility. Being made of tough Ripstop Nylon ensures that this bag can handle anything. It can be lugged around in the backcountry on weekends and still be carry your gear through your daily grind. All of the three color options look amazing and will resist stains, abrasions and fading from sunlight. The Ultra Kompressor has a lot of winning features but despite all the amazing advantages of this daypack, there are some downsides to consider before buying. It’s difficult to find anything wrong with this backpack since it is so well made and does exactly what Marmot says it does. However, there are two small design flaws to keep in mind. The harness system of the Ultra Kompressor has everything you’d expect – shoulder straps, sternum strap and a hip belt. Unfortunately the hip belt has left a lot to be desired for some. 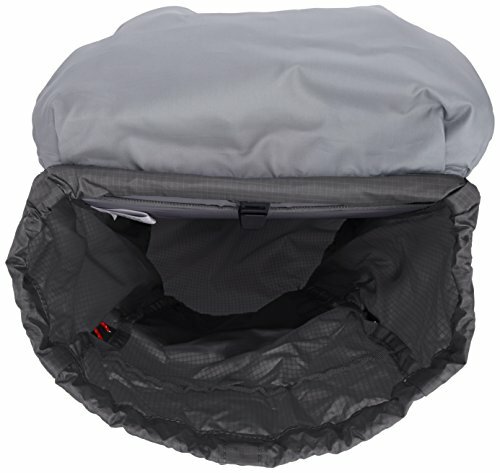 It is made of simple thin nylon webbing which doesn’t provide any padding. The purpose of the hip belt is to keep the backpack from flipping up when moving around, which is does do. The lack of padding also makes sense since it keeps the weight down. Besides, being only a daypack that isn’t made to carry a lot of gear, you really don’t need a bunch of padding. However, some customers would have preferred if Marmot adding thin padding as well as some small pockets for additional gear storage. Simplicity can often be a benefit but reviews have shown that many customers wish there were some more pockets in the Ultra Kompressor. The only pockets on the bag are the two side water bottle pockets, a front mesh pocket and the top lid pocket. Even though it’s a daypack, having some small pockets inside the main compartment would make organizing easier. After all, just because you have less gear in your bag doesn’t mean you should have less organizing options. The market may be filled with daypacks similar to the Ultra Kompressor, but don’t let that fool you. Marmot put just as much effort into quality design and materials as they do with the larger models. This backpack is so versatile that even if you don’t make it out onto the trail as often as you’d like, you’ll still find yourself reaching for it when you go traveling, for school or to the gym.